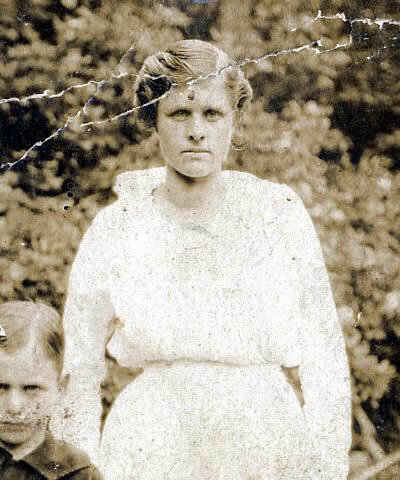 Hiley Victoria Rose, daughter of John H. Rose and Nancy Caroline Salyer, was born on 18 May 1895 at Dickenson County, Virginia. She married Felix Senter Stanley, son of Noah Larkin Stanley and Nancy Elizabeth Gilliam, on 14 Apr 1911 at the Dante Primitive Baptist Church, Dante, Dickenson County, Virginia. Hiley married John Morgan Wright, son of Alexander Wright and Henrietta Hale, on 25 Nov 1920 at the home of John Morgan Wright, Dante, Dickenson County, Virginia. Hiley died on 02 Oct 1968 in Kingsport, Sullivan County, Tennessee. She is buried at Morrison Chapel Cemetery, Morrison City, Virginia.